Is this a tad more work than unscrewing a bottle of super-seasoned tomato juice? Yes, but it's no more difficult than making a smoothie — anyone can make a smoothie — and the payoff is huge. 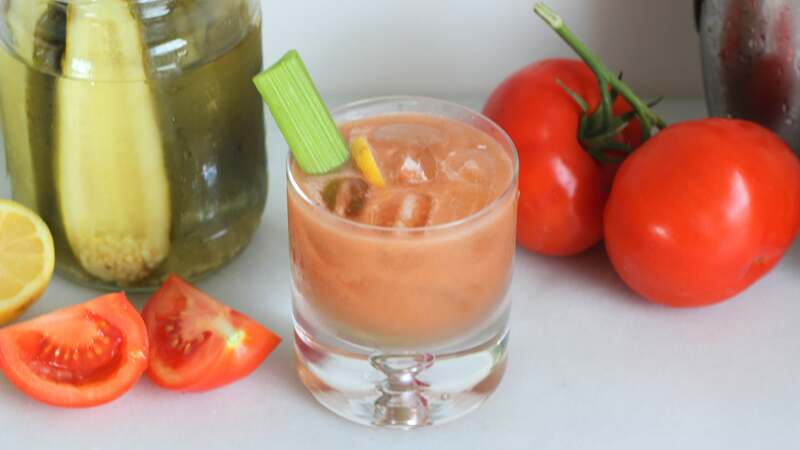 My basic fresh Mary mix has only three ingredients (not including your spirit) and its lighter, savoury but not overly salty flavour makes it downright refreshing. Chuck everything in a blender (you can also throw it in a large cup and use an immersion blender) and puree it into oblivion. Add 115mL to an ice-filled shaker (along with 45mL of vodka, gin, or tequila) and shake it until the shaker is too cold to hold. Strain it into an ice-filled glass through a fine mesh sieve — use a spoon to scrape the strainer as you pour so it doesn't clog — and garnish to your heart's content. 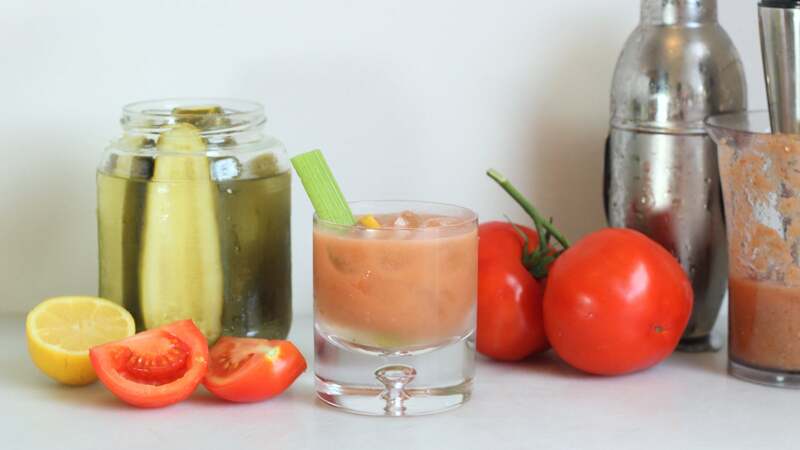 Rather than the usual umami-overload, the pickle juice provides just enough salt, tang and funk to complement the tomato's natural sweetness, while the lemon brightens it up even further. Of course, you are welcome to put your own spin on it. 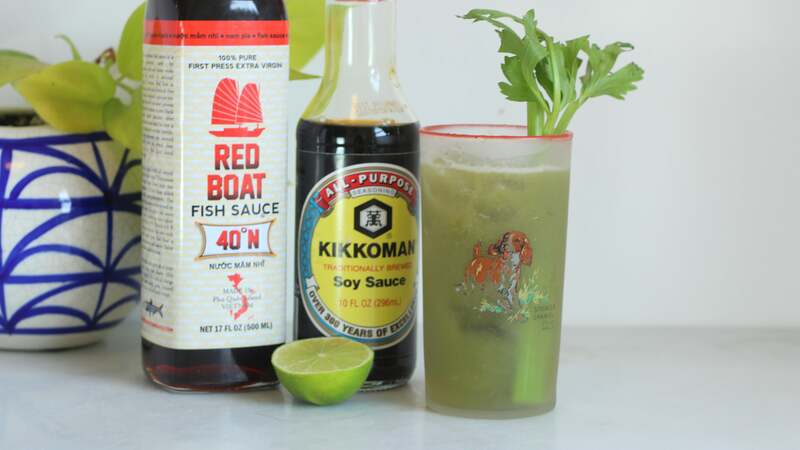 Horseradish, hot sauce, soy sauce, fish sauce, lemongrass, Worcestershire sauce and ginger are all great additions (though maybe not all at once). Just add any mix-ins a teaspoon at a time, hit it with the blender again, give it a taste and adjust as needed. Puree everything together as described above, then shake 115mL of the mix in an ice-filled shaker with an ounce and a half of liquor until the shaker becomes uncomfortably cold. Strain through fine mesh sieve into a glass and garnish as much or as little as your feel is appropriate.